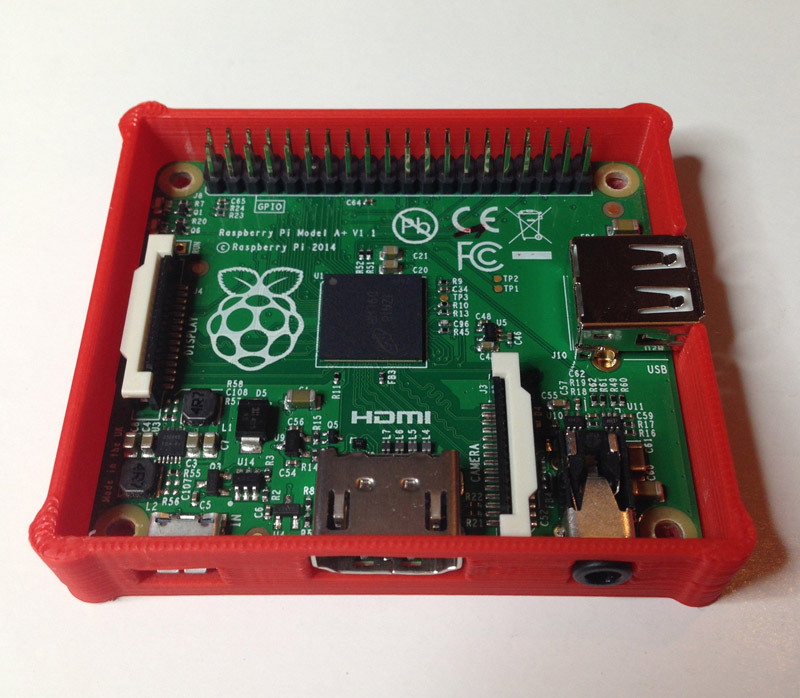 The Raspberry Pi Model A+ is very cute. 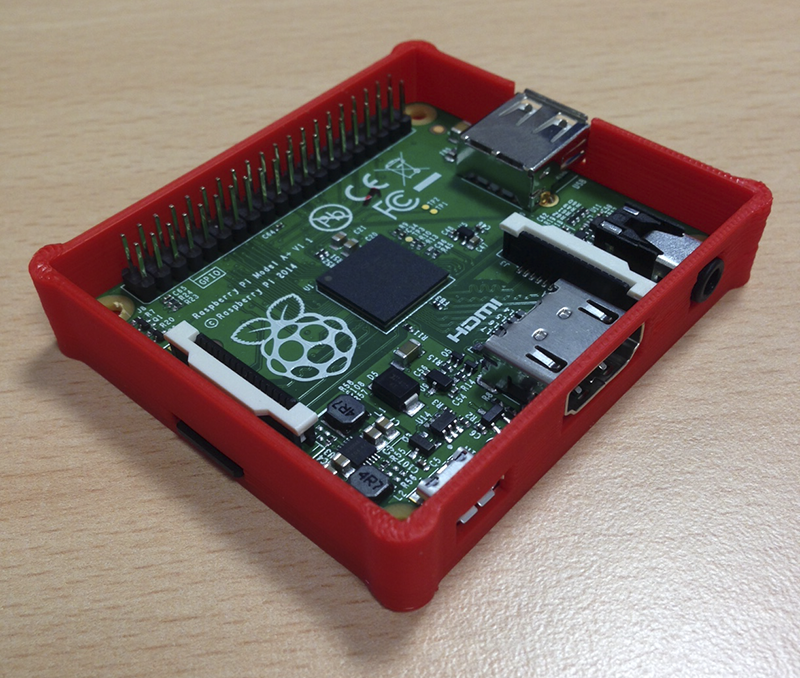 But it’s even cuter with it’s own 3D printed case. 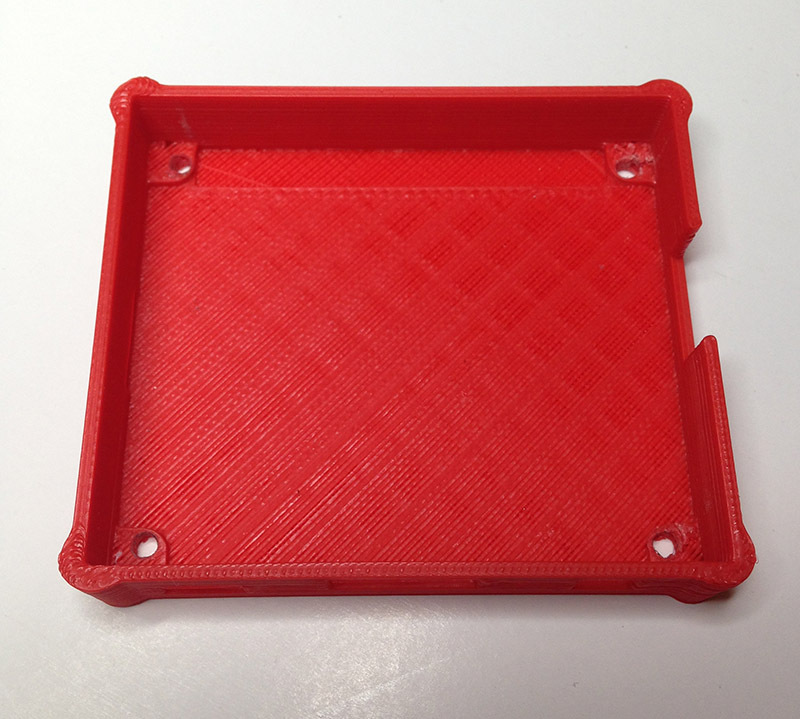 Here’s a case design for you to download and print yourself! 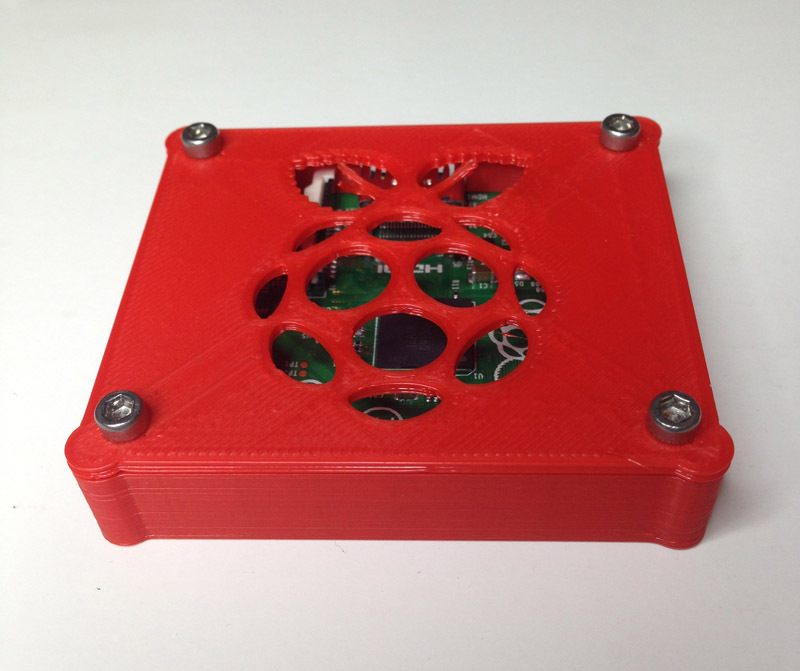 It consists of two main parts, the cover, which is just a flat piece with the Raspberry Pi logo, and the main body of the case, with all the openings in the right place for the cables. The STL files are downloadable so you can print the case yourself, and if you need to modify it feel free. 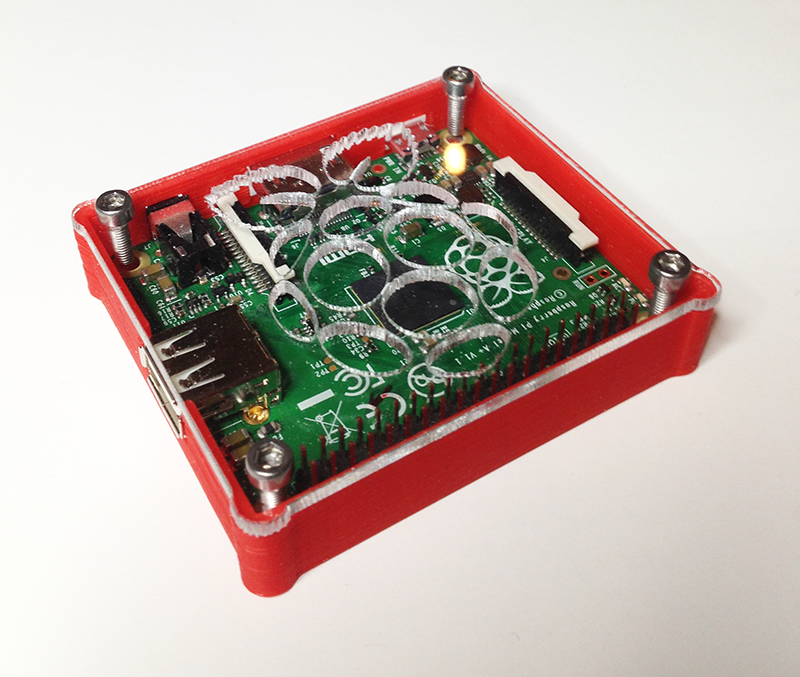 You might need to add a hole for a GPIO cable, touch screen, or camera module. 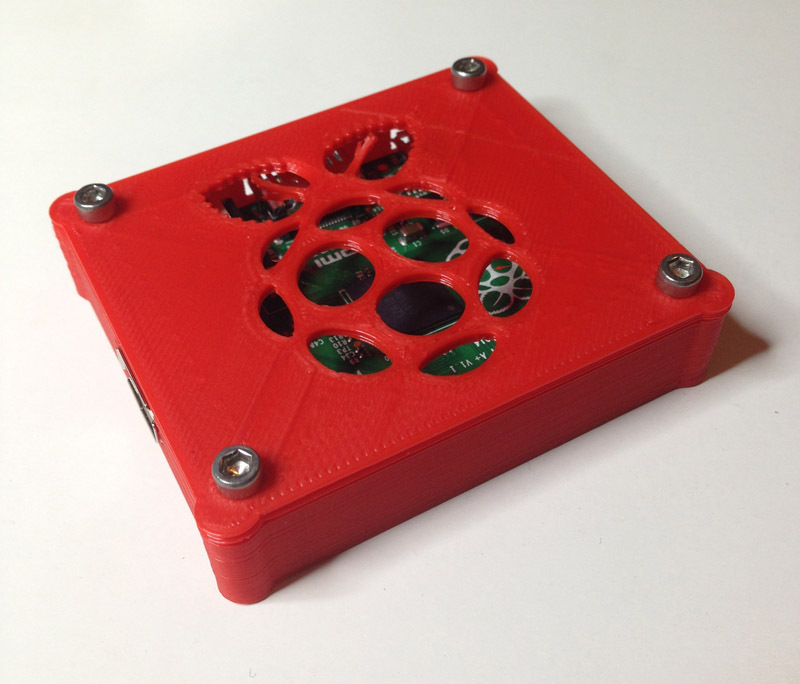 I haven’t provided holes at the bottom, the idea is that you drill them in line with the Raspberry Pi mounting holes for a perfect fit. 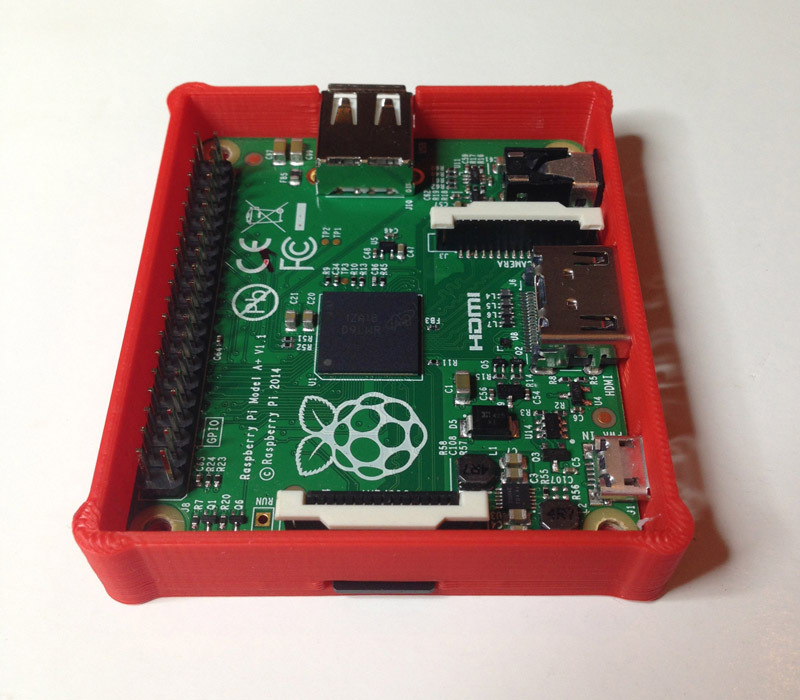 If you use a 2.5mm drill bit, you’ll then be able to use M3 x 16mm screws to attach the top of the case to the bottom, capturing the Raspberry Pi snugly in side. I used some nice looking stainless steel allen bolts. They look a heck of a lot better than some of the cheaper bolts in my local hardware store. I used SketchUp to design, then exported the STL from that. Nice little case for the A+. During the process, did you also make a model of the A+ itself? I’ve been looking for the dimensions to use for making A+ versions of my own case designs. 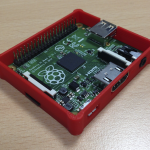 No, I haven’t modelled the Pi itself (yet).